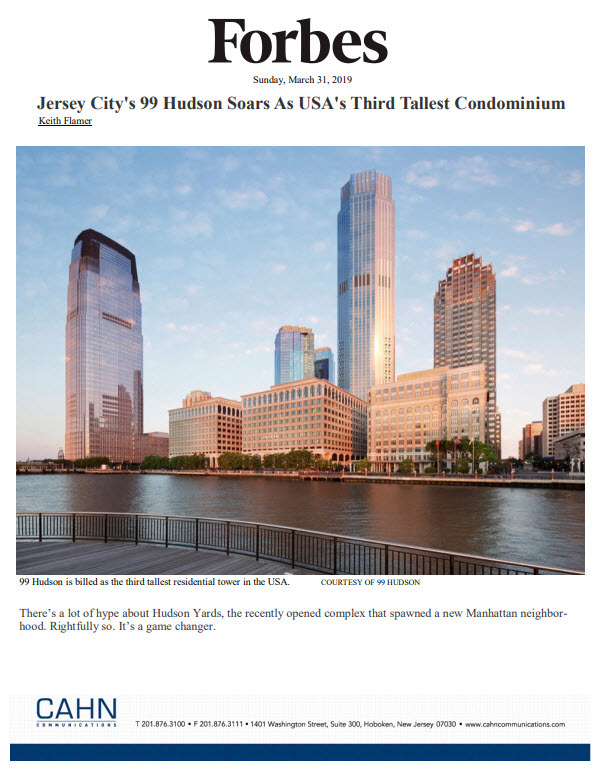 JERSEY CITY, N.J., April 3rd, 2019 – Manhattan Building Company, developer of The Cliffs Collection on Jersey City’s Hoboken border, has unveiled modernized amenities at the five-story building and delivered a long list of inspiring wellness facilities and resort-style recreational and social options that perfectly complement its luxury loft-style condominium homes. Highlighting these practices is the onsite SANCRI Wellness Center, a holistic retreat that offers massage and body treatments, yoga room with yoga and meditation classes, amethyst bio mat, an oxygen bar, as well as a complete wellness events calendar featuring workshops, health programs as well as expected cooking classes tied into nutritional speakers. There’s also a fully-equipped fitness center with Himalayan salt sauna. The socially-infused, activity-rich lifestyle experience at The Cliffs Collection extends to other indoor amenities at the industrial-inspired building which include a residents-only lounge and library with fireplace, children’s playroom and a lobby with concrete floors and adorned with historic photos of the building. Outside, a private urban oasis awaits with an updated courtyard with roof deck and lounge, beautifully landscaped Zen Garden and hammock area, and an outdoor kitchen with gas grills, fire pits and water features all uniquely set against the breathtaking geological cliffs that nearly touch the building’s western edge. Residents will also enjoy 24-hour concierge service, bike storage and secured, covered on-site parking. The pet-friendly building also provides a dog run. “Just like our homes which differentiate themselves in Hudson County by featuring soaring ceilings, incredibly gracious living spaces and designer features and finishes, our amenity package is incredibly unique when compared to what’s typically offered in this market,” says Sanford Weiss, CEO of Manhattan Building Company. Manhattan Building Company has released 60 upscale condominium homes for sale in the initial phase of The Cliffs Collection. Available for quick delivery, the studio-to-four-bedroom homes feature open floor plans ranging from 570 to 2,200 square-feet of soaring living space at introductory prices starting from the $500,000s. Residences are fully customizable, allowing for buyers to work with in-house designers or on their own to tailor their new home with myriad of selections and options – while still enjoying near-immediate occupancy. Located at 100 Paterson Plank Road in Jersey City, The Cliffs Collection is housed in a pre-war building began life in the early 1900s as a boiler factory. Its classic exterior has been restored as part of its rebirth as a signature landmark residential building. A mix of old and new will be found throughout the new residences, including soaring 10-to-14-foot ceilings, oversized windows framing panoramas of Hoboken, the Manhattan skyline and the cliffs; exposed brick walls and spiral duct work, engineered wide plank oak flooring, custom built-in closets, kitchens with state-of-the art appliances and industrial-themed fixtures and lavish baths with Kohler fixtures and white glass wall tiles. “Buyers can also purchase a home ‘as is,’ allowing for them to privately complete renovations and improvements,” says Joshua Biegel, Project Director for The Cliffs Collection. The Cliffs Collection maximizes its location just blocks from all the entertainment, dining, shopping and more that line Hoboken’s lively Washington Street and Newark Avenue retail corridor. The 2nd Street Light Rail Station is also steps from The Cliffs Collection, providing convenient access to both downtown Jersey City and uptown Hoboken. “Complementary shuttle service will be provided to the Hoboken PATH station from our front door, bringing the work centers and vibrant nightlife of Manhattan close to home,” Mr. Biegel points out. An on-site sales center and fully-furnished model home are open and available to tour at The Cliffs Collection. For additional information or to schedule a visit to tour the building, please visit www.thecliffscollection.com or call (201)-222-0920.